A powerful gel that dissolves carbon buildup from metal surfaces. Spray or brush on, let sit 15 minutes to overnight, depending on the amount of buildup to be removed, then rinse under cold water with a brush or scrubbing pad. Also available in a dip tank solution for repeated treatment of multiple utensils. 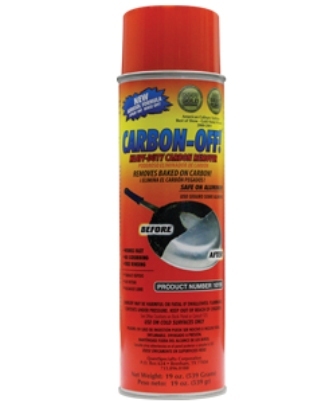 CARBON-OFF!® works quickly and easily saving time and labor. SAFE ON ALUMINUM. 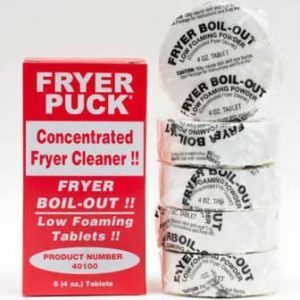 Due to VOC regulations, not available for sale in California.